Shadow of the Tomb Raider key artwork and review day screenshots are now available courtesy of publisher Square Enix. Today marks the day a global embargo on reviewing Shadow of the Tomb Raider lifts so expect lots of in-depth reviews on Lara Croft's latest adventure, including our own. Shadow of the Tomb Raider will be available on September 14, 2018 for the Xbox One, PlayStation 4, and Windows PC/Steam. 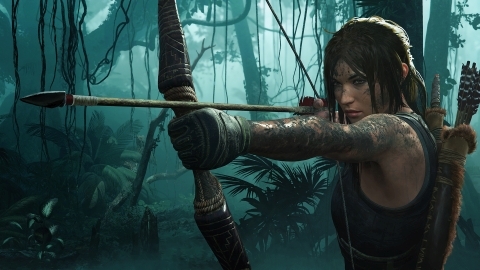 The game stars British aristocrat Lara Croft who must master a series of deadly jungles, overcome terrifying tombs and persevere through her darkest hour. As she races to save the world from a Maya apocalypse, Lara will ultimately be forged into the Tomb Raider she is destined to be. Follow the preview image below for Shadow of the Tomb Raider key artwork and review day screenshots.